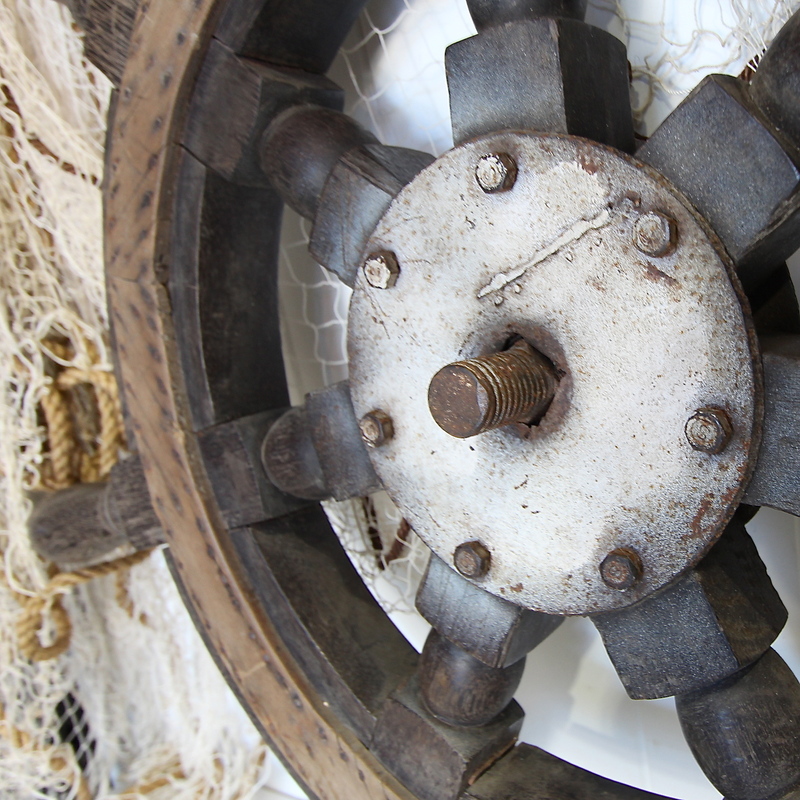 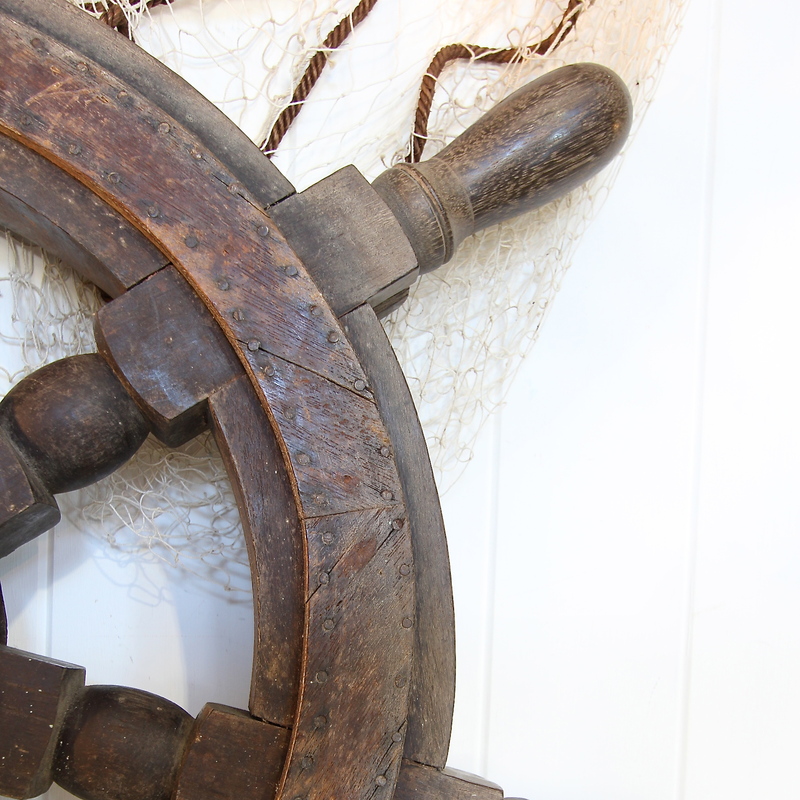 This old ship's wheel that was found on a recent trip to Indonesia originally comes from Borneo & is made of ironwood / hardwood. Very solid and sturdy, it has fantastic detail, with countless nails holding on a timber rim. 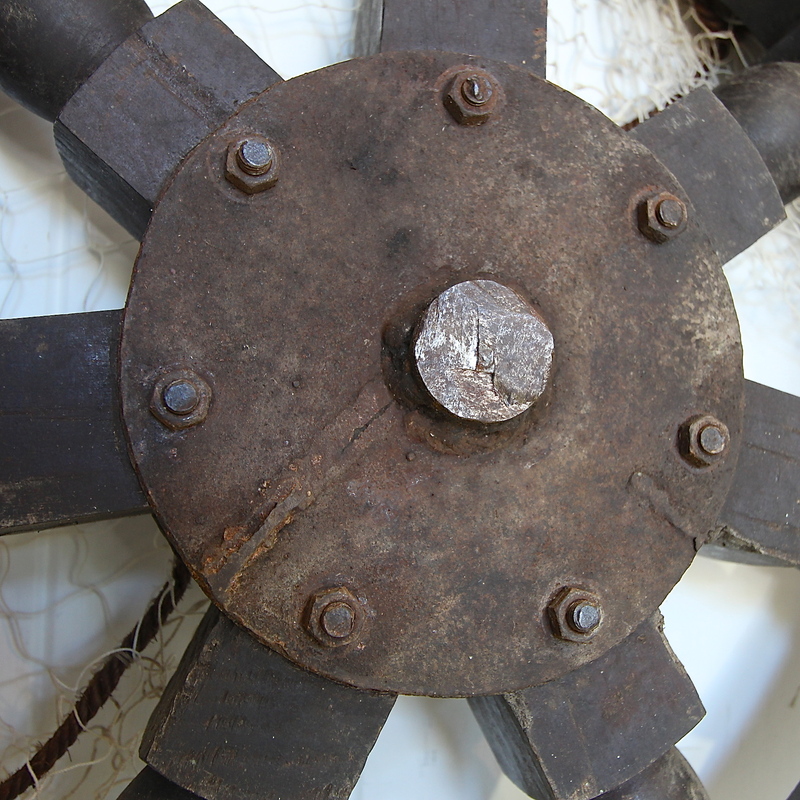 The reverse side still has a length of bolt attached. 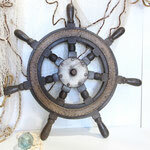 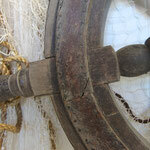 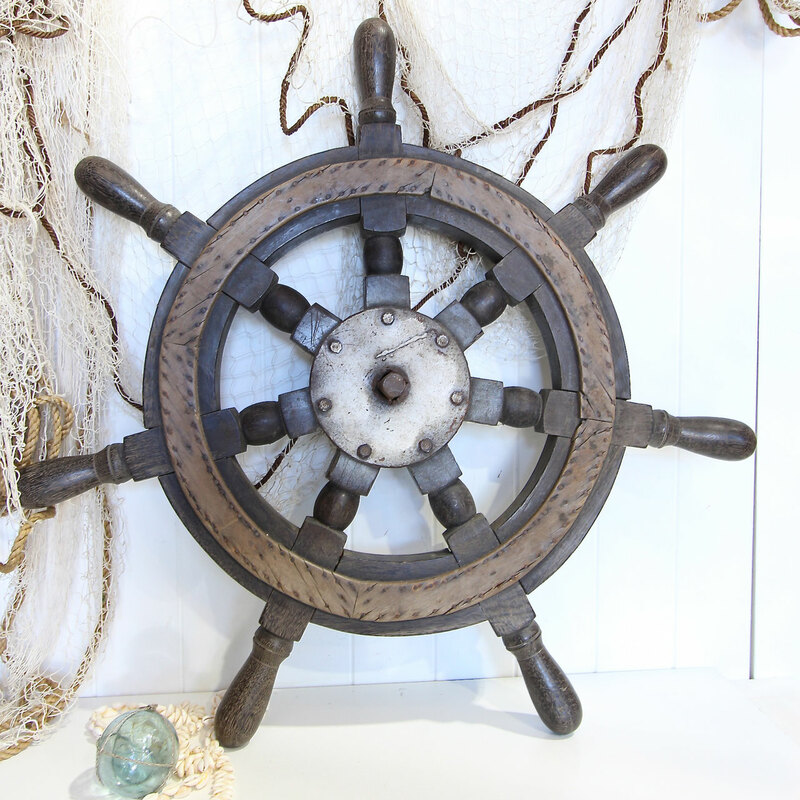 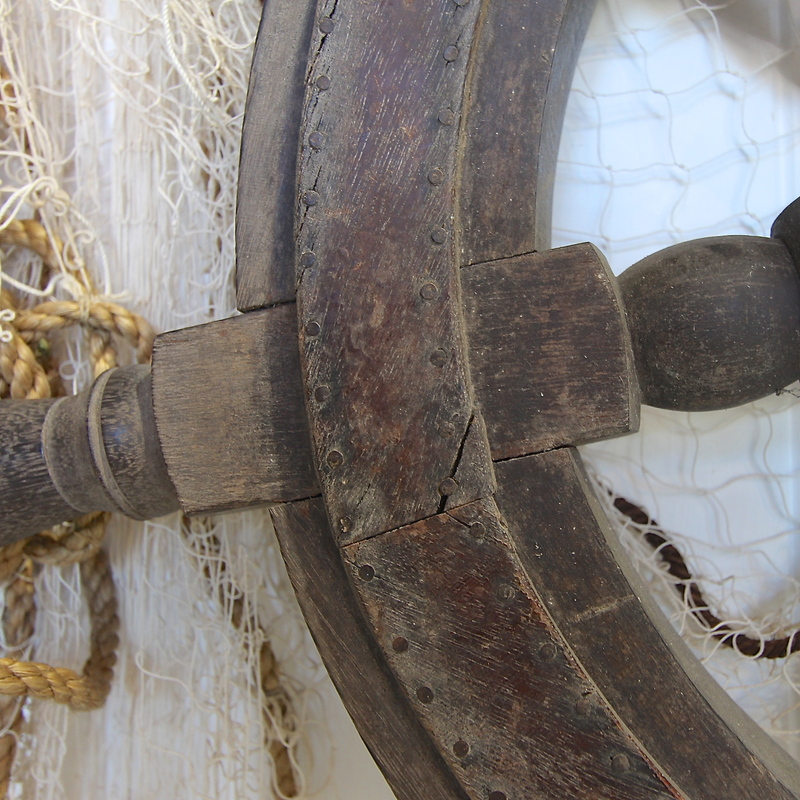 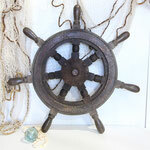 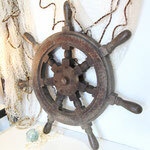 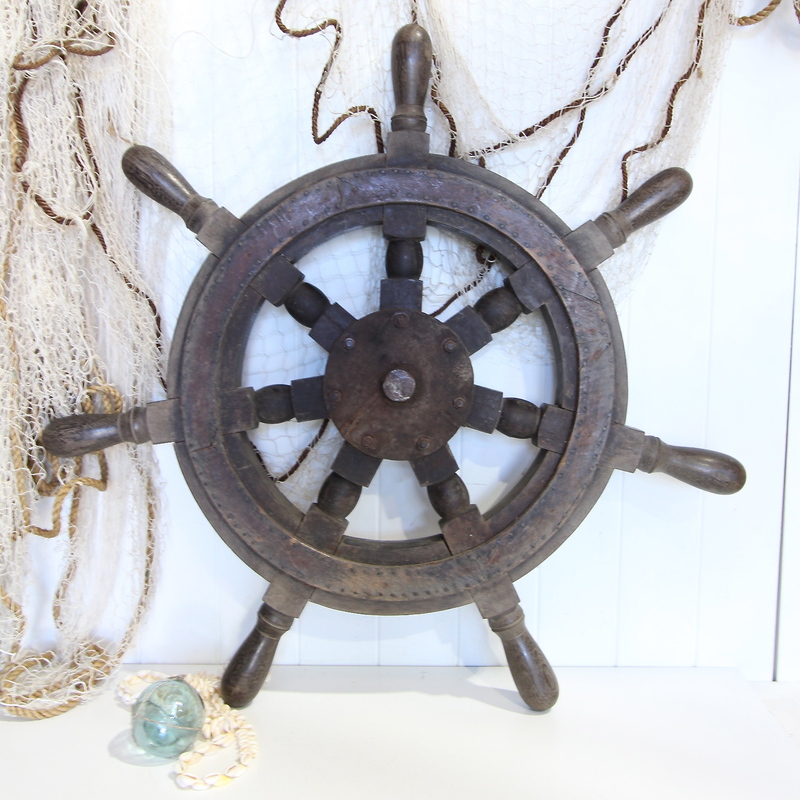 A perfect piece to add a nautical or vintage touch!